Thomas Del Mar has been living locally with his family for eight years. 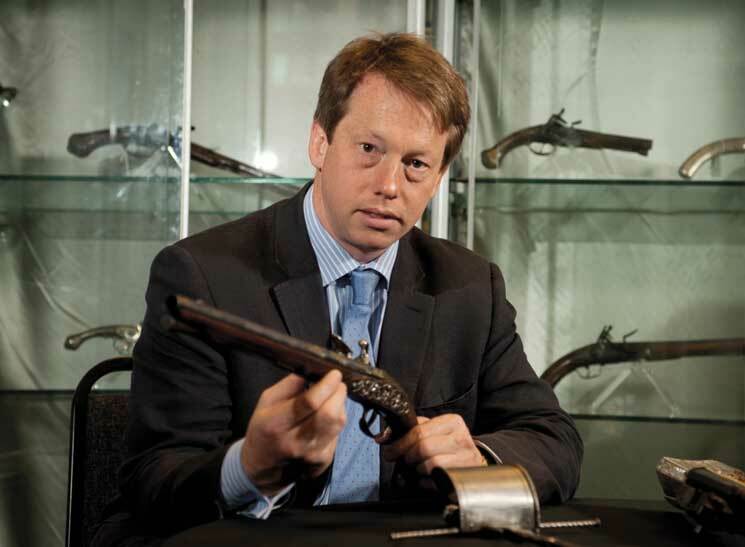 Having run the Antique Arms, Armour and Militaria department at Sotheby’s for 10 years, he started his own company in 2005. Two years later, he discovered in Olympia an old post office that had been closed down which he then converted and so founded 25 Blythe Road, the specialist auctioneer house. His next auction is on the 29th June which will include objects spanning 3,500 years, comprising armour from Warwick Castle, a spear from the Vienna arsenal, partisans carried by the Yeoman Guard of our Kings and Queens William & Mary, Anne, George III and Victoria, the contents of a European Princely Armoury and related items such as gun powder flasks, saddles, caparisons, stirrups, and a spectacular display of miniature to life size cannon and other artillery. Thomas Del Mar Ltd has recently published the book ‘Armour of the English Knight 1400 – 1450’ written by Tobias Capwell, curator of arms and armour at the Wallace Collection.